News The psychological horror sequel takes place on a very creepy boat. News It's an optional add-on to existing internet plans for an extra $15 a month. NEWS Earn the exclusive “raptor legs” Frost charm by finding new bugs in Siege. news Blacksad: Under the Skin is based on an award-winning comic series. News The 1650 is the odd man out in Nvidia's 16-series product stack. News Gaming helped, but it's not the main reason why Microsoft is now worth more than Amazon, Apple, or Google. news Respawn also details fixes for some of the game's most annoying bugs. Deals One of the best RTX 2070 deals we've ever seen. guide 1) Land, 2) Dance, 3) Profit. News It's returning to Anaheim on November 1. News After an investigation, EVE Online's developers have issued an apology and rescinded the ban. 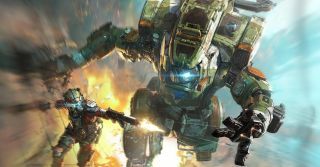 News Respawn's CEO discusses Apex' future. News From magnetic payloads to killer emotes. News The free update is live now. PC Gamer Club Help a trashy guy escape his garbage life. News Pick a side and go to war in the new mode. Free Or are you chicken? news The console version came out in October 2018.
news The internet is awash with black market Apex Legends guns. news Eight players work together to survive, but some of them are not who they say they are.